Buried Pipe | Design and Installation - Bryan Hauger Consulting, Inc.
Every August, SPE announces a call for papers. This year, as the technical program chair for the Plastic Pipe and Fittings Special Interest Group, I wanted to get started as soon as possible. Check out the flyer our group will be distributing later this summer at select meetings. 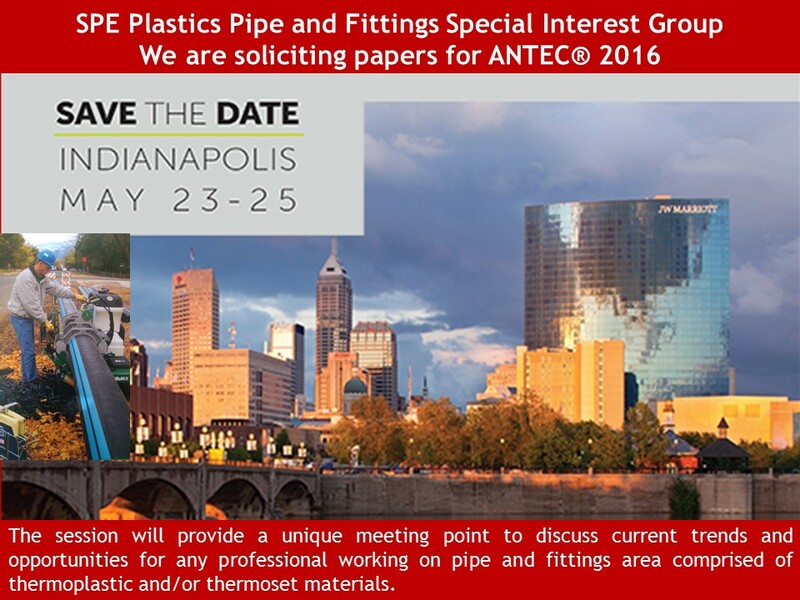 Please contact me if you have interest in our ANTEC session as a speaker or attendee. This course is taught by two gentleman I really trust on the subject matter - Jesse Beaver and Amster Howard, who literally wrote the book on buried piping. The course flyer provides the following insights "This seminar, conducted by two leading engineers in the field of buried pipe, demonstrates the fundamentals of pipe-soil interaction behavior, how soil and pipe behavior can be jointly considered in design and how proper construction methods can achieve design assumptions in the field. The principals of soil-structure interaction covered in this seminar apply to all types of pipe. The primary objective of this seminar is to show how simultaneous consideration of pipe and soil, as two interrelated parts of one pipe-soil system, can optimize pipe performance and longevity, prevent failures, and minimize the high cost of downtime and repairs". Should be great - early bird registration ends August 11th.